Information derived from Army Pamphlet 6003. This information has been updated and is left here for historical information only. Current information is located at Army Officer Job Descriptions. The Army has structured officers in the Army Competitive Category (ACC) by grouping branches and related functional areas into personnel management categories called Career Fields. The establishment of Career Fields will build an officer corps that is both skilled in combined arms operations in the joint and multinational environment and fully experienced in the technical applications that support the Army's larger systemic needs. Regardless of the Career Field into which an officer is designated, all branches and functional areas in all Career Fields are found in both the TOE and TDA Army. Specifically, branch officers will be authorized at MACOM headquarters and FA officers are authorized in divisional units. Under a Career Field based management system, after promotion to major, officers are managed, professionally developed, assigned and promoted according to the requirements of their branch or functional area. Officers will be designated into a branch or functional area (FA) in a Career Field by an HQDA-centralized selection board immediately following their selection to major. (Senior captains are designated into the AAC (FA 51) earlier in their 8th year of service.) The function of the Career Field Designation Board (CFDB) is to meet Army requirements by designating officers into a branch or functional area in one of four Career Fields: Operations, Information Operations, Institutional Support, and Operational Support. 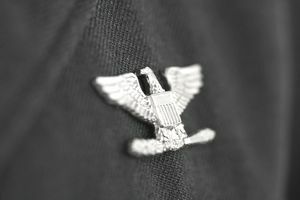 The CFDB considers the officer's preference (forwarded to PERSCOM OPMD approximately six months prior to the board), rater and senior rater input, officer's experience and qualifications and Army requirements. The results of the CFDB may require a change in an officer's functional area awarded during his or her 5th to 6th years of service. Career Field designation (CFD) should not be confused with functional area designation. Officers will select and be designated into a functional area between their 5th and 6th years of service. They may or may not serve in this specialty or attend graduate civil schooling prior to Career Field designation, which occurs around the 10th or 11th years of service. An officer's personal preference is the most heavily weighted factor during Career Field designation. However, previous FA service and Advanced Civil Schooling also contribute to the outcome of the CFD process. A branch is a grouping of officers that comprises an arm or service of the Army in which, as a minimum, officers are commissioned, assigned, developed and promoted through their company grade years. Officers are accessed into a single basic branch and will hold that branch designation, which is later augmented between the 5th and 6th years of service with a functional area. An accession branch admits officers upon commissioning; a non-accession branch admits experienced officers from the accession branches. With the exception of Special Forces, all other branches are accession branches. Special Forces recruit officers with a minimum of 3 years experience. Officers will serve their first 8 to 12 years developing the leadership and tactical skills associated with their branch. They will continue to wear their branch insignia throughout their military service. All career branches are in the Operations Career Field. Through company grade years, most officers will serve predominately in positions from within their basic branch. Some officers will serve in the functional area or branch/functional area generalist positions (not related to a specific branch or functional area) after they are branch qualified as captains. Following Career Field designation, officers will be assigned to positions within their Career Field (basic branch or FA) or to generalist positions. This type of assignment pattern promotes assignment stability and development within a branch or functional area. The branches of the Army are categorized in the table below. Some branches may fall under more than one category as noted in AR 600-3, paragraph 32. A functional area is a grouping of officers by technical specialty or skill, which usually requires significant education, training, and experience. An officer receives his or her functional area between the 5th and 6th years of service. Individual preference, academic background, manner of performance, training, and experience, and needs of the Army are all considered during the designation process. Depending on FA educational requirements, professional timelines of the individual officer and individual preference, officers may serve in a functional area assignment during their company grade years after they have completed branch qualification requirements. After Career Field designation, with the exception of Multifunctional Logistician Program (FA 90) officers, functional area officers not serving in the Operations Career Field will no longer serve in their basic branch. FA 90 positions are filled by officers from Transportation Corps (Br 88), Ordnance Corps (Br 91), Quartermaster Corps (Br 92), Aviation (AOC 15D) and Medical Service Corps (MFA 67A); all of whom remain affiliated with their branch. FA 39, FA 51 and FA 90 are the only functional areas that afford command opportunity.